This week for Best Book Ever, we're talking about books from your home city/state/area of the country. I grew up in a rural-ish area which doesn't get many books written about it, but ever since moving to a big city, I've had a love/hate relationship with books set in my new home. Sometimes, they get it very right -- the city feels real, like the place you spend your time in every day -- which makes a good book even better. Check out everyone's picks below, and add your favorite in the comments. 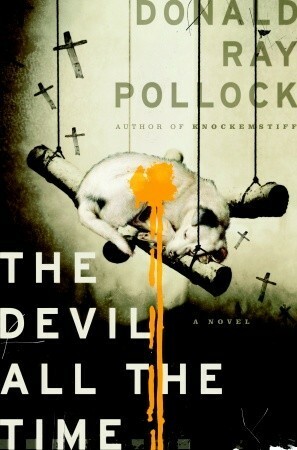 THE DEVIL ALL THE TIME by Donald Ray Pollock is not for the weak of heart or those looking for a happy ending. It is brutal, honest Midwestern gothic storytelling at it's height, literature of place in a setting readers will be glad to escape from, though it will never leave them. While despair and depravity may be the coin of the realm in cerebral literature, Pollock's distinctive power lies not in artful and attractive villains with well-delivered lines, but rather in the aging waitress-whore whose cigarettes are turning her teeth yellow, the virgin-hounding overweight minister, who, when pulled out from under the cloud of their cigarettes or from behind the pulpit prove to be not incarnations of evil but tragically human. The characters weave through their lives on a tragic collision course with one another, an intricate braid of storytelling in which there are few people to root for, but a shade of our weaker selves in everyone. This is one of those BBE that is easy to pick. My favorite books/series from my hometown is the Mara Dyer series by Michelle Hodkin. 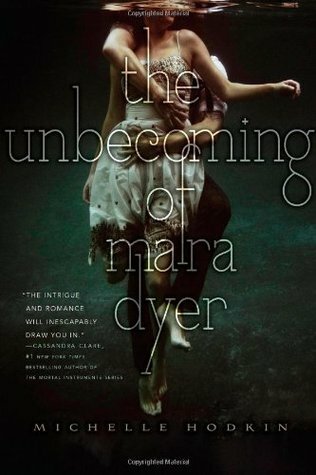 When I first heard that The Unbecoming of Mara Dyer was based in Miami, FL. I knew I HAD to read it. It was great to read about all the familiar spots I grew up around. Then The Evolution of Mara Dyer came out and Michelle featured the Florida Keys. I practically lived in the Florida Keys every summer. Now the Mara Dyer series isn't just about Miami though. This is one of my favorite series by far. Michelle really knows how to write a series that complete messes with your mind!!! Not much has been written about my hometown, and I haven't read many books set in Philadelphia yet, so my choice this week is one of the many books that takes place in my previous home for fifteen years, New York City: Time and Again by Jack Finney. Now, the book doesn't quite capture my experience of living in Manhattan, since it was written in 1970 and events occur in both 1970 and 1882, but New York has a sort of timeless quality. In some ways, the book is a love letter to the city, with beautiful descriptions of the life and buildings there, complete with photos and illustrations. And unlike most novels that celebrate New York, the city is more than just a backdrop for the plot, it's almost a character in itself. It's a simply stunning time travel novel about a man who finds a way to "hypnotize" himself into the past (rather similar to the mechanic used in the film Somewhere in Time, which was itself based on the novel Bid Time Return by Richard Matheson), and if you're romantic about the Big Apple at all, I highly recommend it to you. Wow this one made me really think. I only know of a few books that I have read that take place in Central PA... and I hated all of them (and some are popular YA series, so I will refrain from naming them). I literally was going through what I could pick. I live near Lancaster PA, but I can't say I could pick any Amish book and declare it the best PA. It occurred to me that I was born in Johnstown, PA- and DUH there are a few books about the Johnstown flood, including one of my favorite books of all time- Julie. 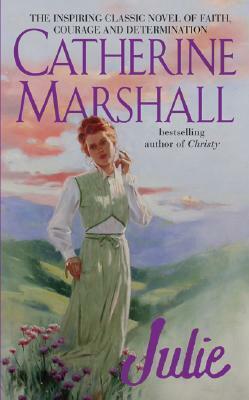 Julie was written by Catherine Marshall (who also wrote Christy). Julie was the story of the Johnstown flood- I am a sucker for a good natural disaster novel and this was one of the best! 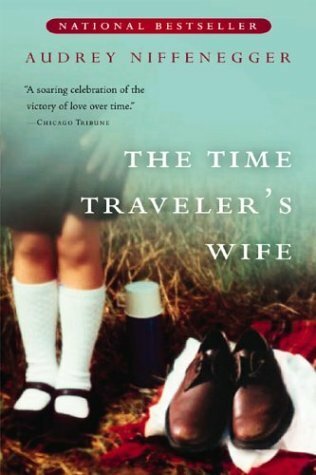 The story that immediately came to mind for me was The Time Traveler's Wife, by Audrey Niffenegger. I know I've picked this one before, but it is a real, true Chicago story for me. I read it not long after I moved to the city, so it was nice to be reading about all of these spots that Henry and Clare visit, and then see them for myself in my neighborhood or my in my daily commute. Niffenegger, a Chicago resident herself, really did an outstanding job of capturing the city as a character in a real authentic way. Another book worth mentioning: Sin in the Second City, by Karen Abbott.